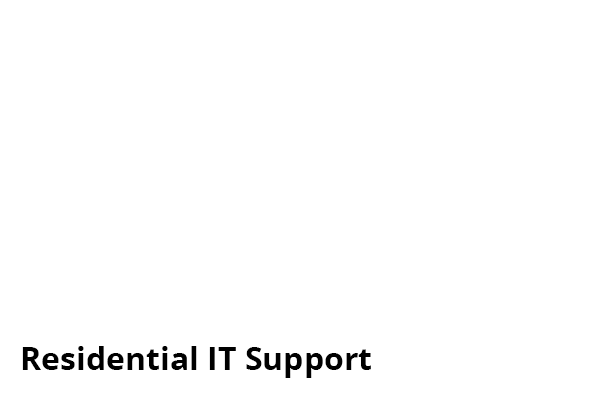 We are an IT Support company based in Ipswich. We offer Home and Business IT Support including Device Repair, Hardware & Software setup, System Management, On-Site Support and Web Services. What we offer business customers! Onsite & Remote IT Support for Businesses! Free consultations for new and existing businesses! Tailored IT support & maintenance contracts for businesses! Small Business IT Infrastructure -Network Setup, Server Installs, & Cabling. What we offer home customers! Call Outs and Remote Support for home/residential customers! Operating System Installations - Breathe new life into your machine with an upgrade or clean install of Windows/Mac OSX! Virus Removal - Rid your devices of harmful viruses and malware! PC/Laptop Health Check - Speed up and repair your slow PC, Laptop or Tablet at an affordable price! Hardware Repair - PC, Laptop & Tablet repair & replacement parts! Screen Repair - Laptops, Mobile Phones, Apple iPad, iPhone, iPod and more! Equipment Sales for both homes and businesses! JM Restart are a friendly and professional IT services company, based in Ipswich, Suffolk. We support areas in and around East Anglia, offering a variety of IT support services to both home & business customers. Our services range from speeding up a slow PC, to managing server installations for businesses. No matter what IT support you need JM Restart can help! We aim to provide our customers with one company for all their IT needs. JM Restart have the solution for you! A fantastic job and a quick repair. If the need arises I will not hesitate to call on the JM-Restart team again. Knowing nothing about technology when my laptop didn't work and I had fiddled somewhat foolishly to fix myself my daughter recommend JM restart, she then sorted out getting them the laptop which they fixed for me quickly and easily. Really impressed. Matt and Jason did an excellent job in fixing the screens quickly and kept me informed throughout. Would always return with future problems for these guys to fix. Brilliant customer service all round and competitive prices. Regular IT Support for our Business! Always on hand at the end of the phone and any problems dealt with promptly and efficiently. I would always recommend JMRestart for any IT problem. They were professional and patient and solved my problem in very good time! Fast and efficient service, highly recommended! Would definitely recommend JM Restart! Would definitely recommend JM Restart to my family and friends. Friendly guys who deliver a professional service and are always willing to help. Friendly reliable service provided, repairs completed professionally. I will be using JM Restart again and would highly recommend. I highly recommend JM Restart, they have been extremely helpful and professional from the outset. First class service in provided by Matt and Jason at very reasonable and competitive prices, would recommend to anyone. Excellent Service from JM Restart. After Service also great will definitely recommend and use again. I contacted JM Restart and was treated with respect and not a novice. Thank You JM Restart. I would use this co. again. Friendly, efficient staff who know exactly what they're talking about. With years of experience in IT, our technicians aim to provide you with a professional and reliable service for any IT enquiry. We pride ourselves on putting the customer first and being completely transparent. We won’t try to hide behind complicated language. Instead JM Restart strive to provide you with as much information and support as we can. Therefore allowing you to make an informed decision. JM Restart will keep you aware of any work carried out with our detailed job reports. These reports will also allow our technicians to work efficiently with you, regardless of who from our team is assigned to your case. JM Restart aim to provide IT support and advice to suit your needs. With various options of support, whether it be remote or onsite, we tailor our IT solutions around you.